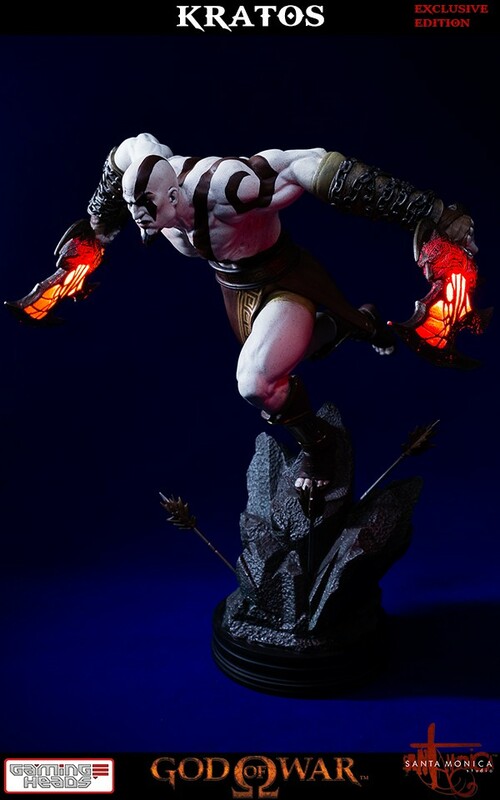 Non Refundable Deposit: $35.00Non-refundable deposit will be charged immediately upon order placement. 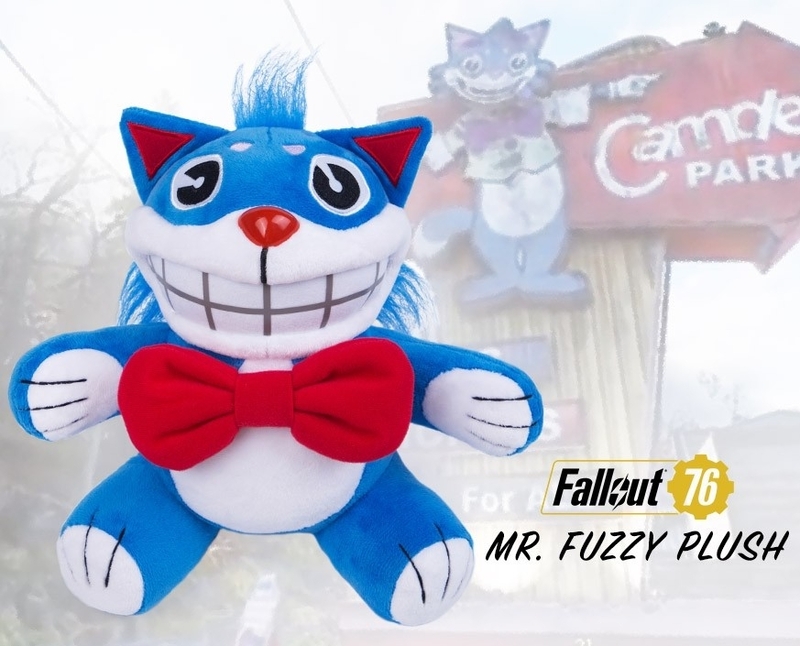 You will earn 350 Credits for purchasing this product. 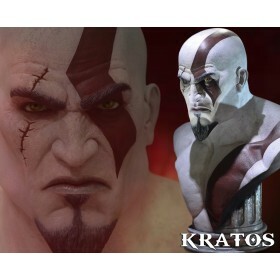 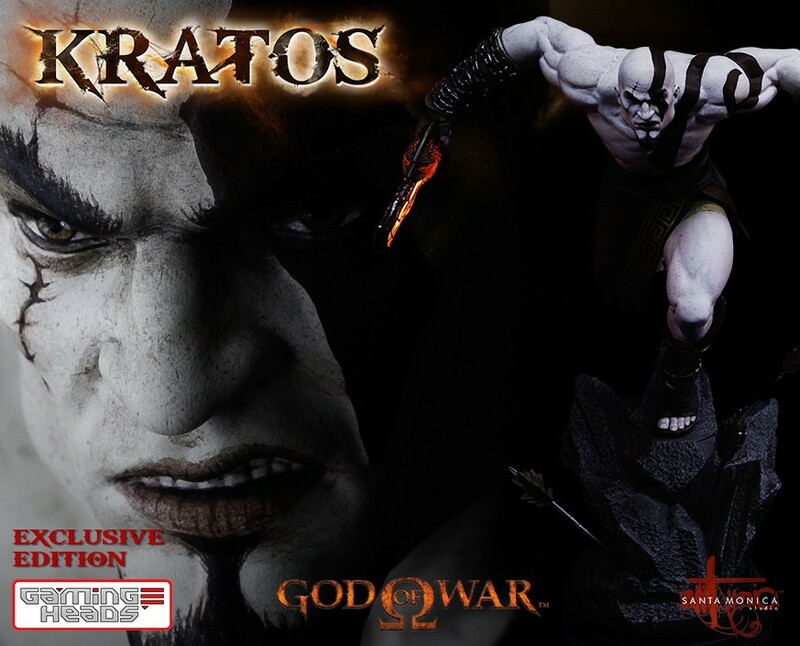 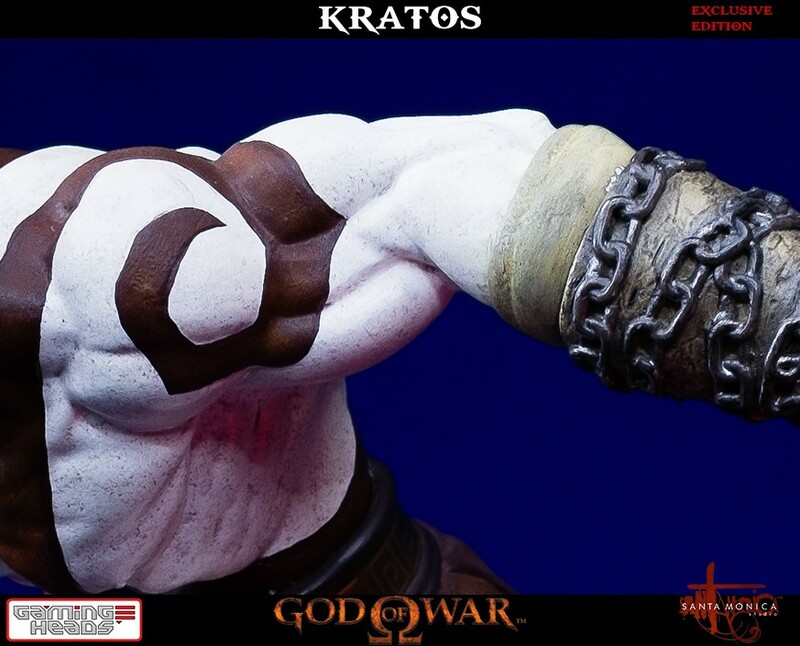 Gaming Heads is proud to reveal Kratos: the protagonist of the God of War series. 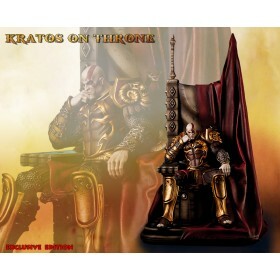 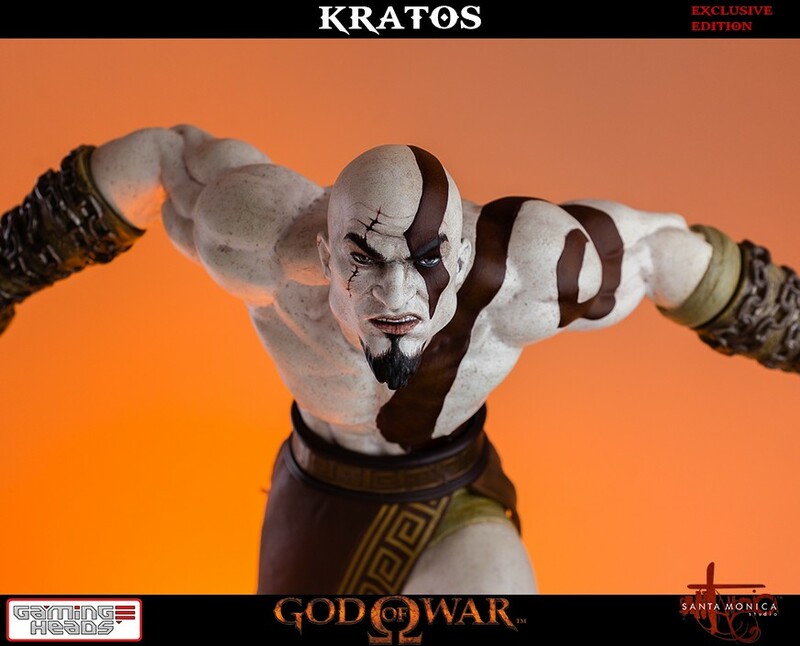 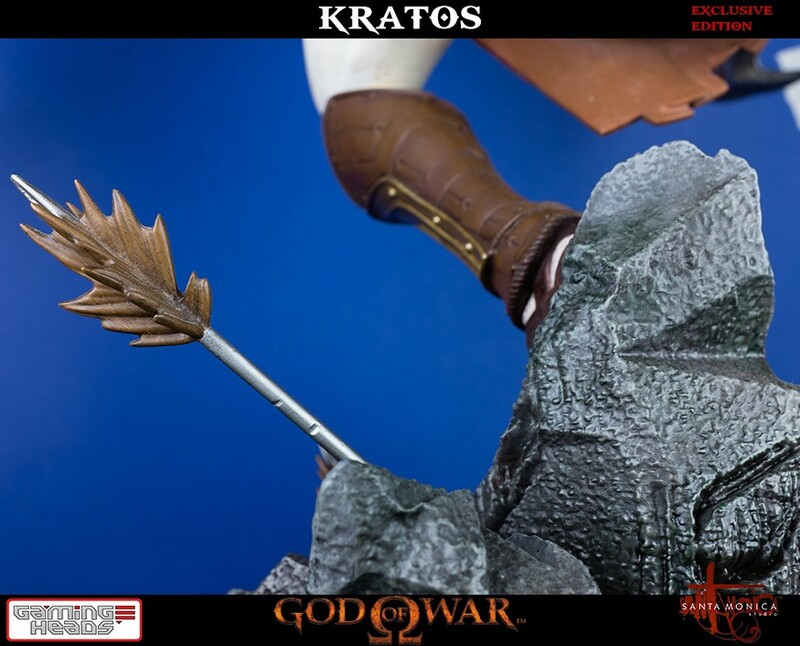 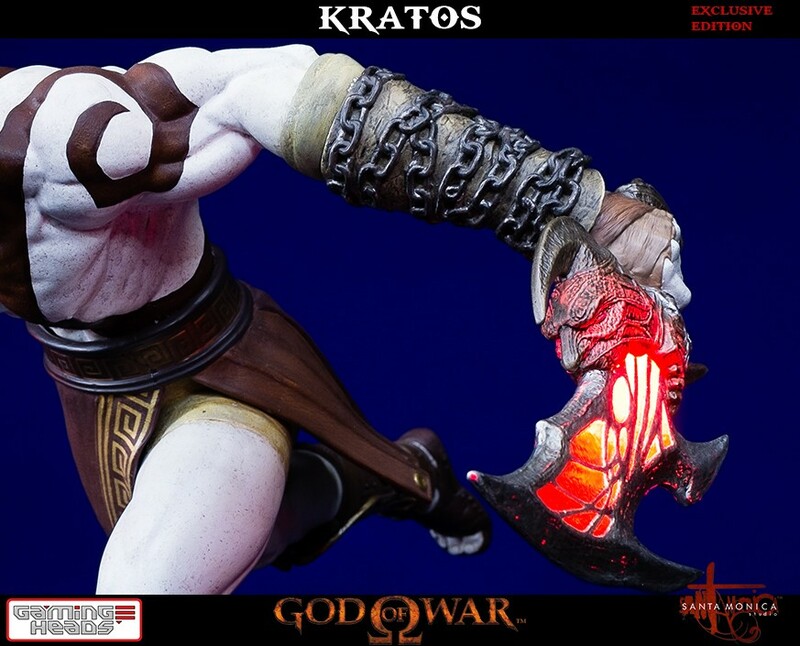 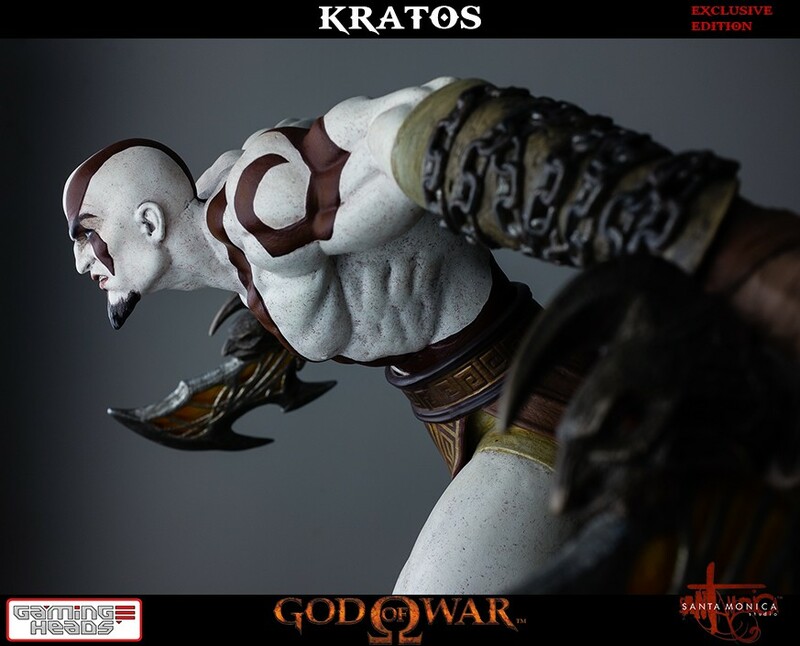 Kratos has been portrayed in 1/4 scale, wielding the Swords of Exile, and has been captured lunging forward in a powerful attack. 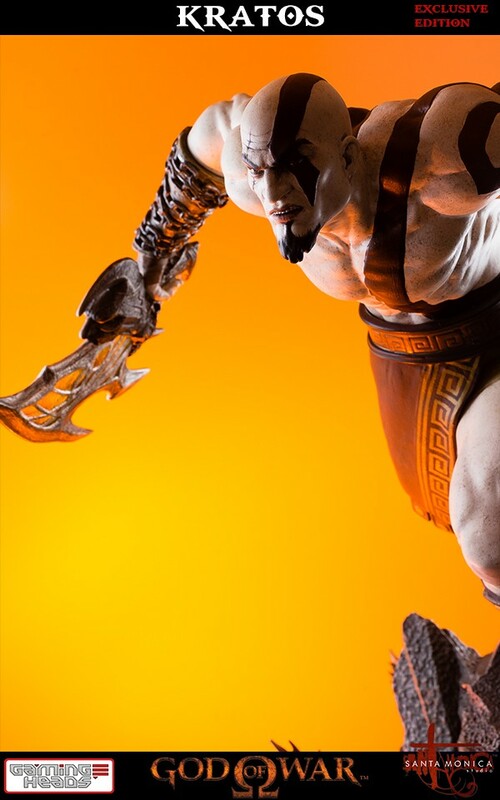 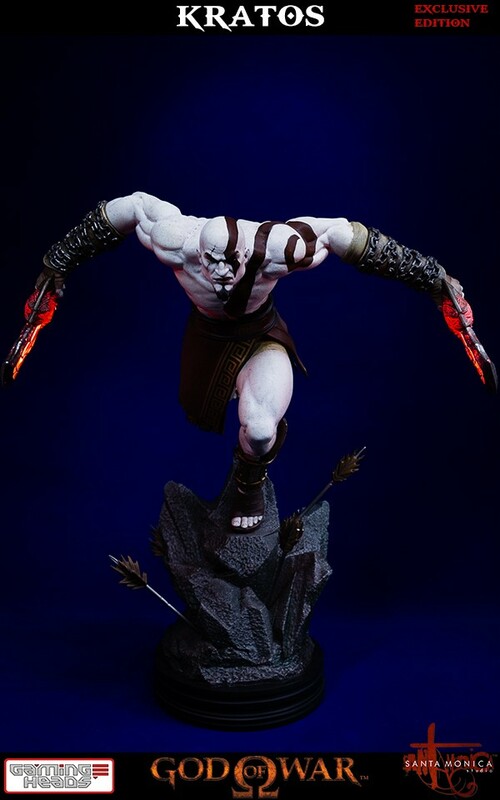 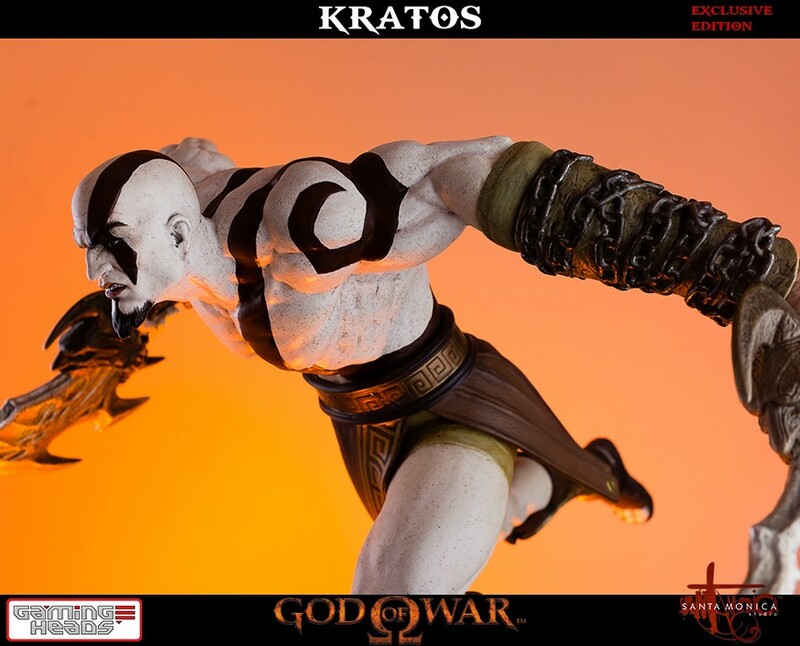 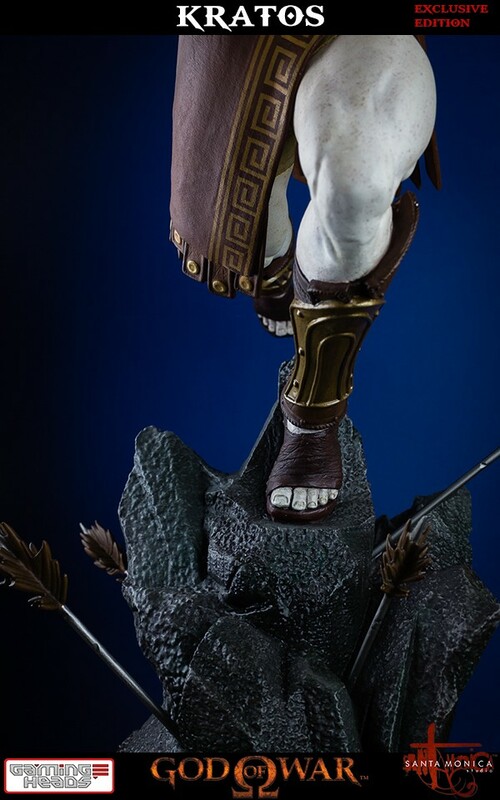 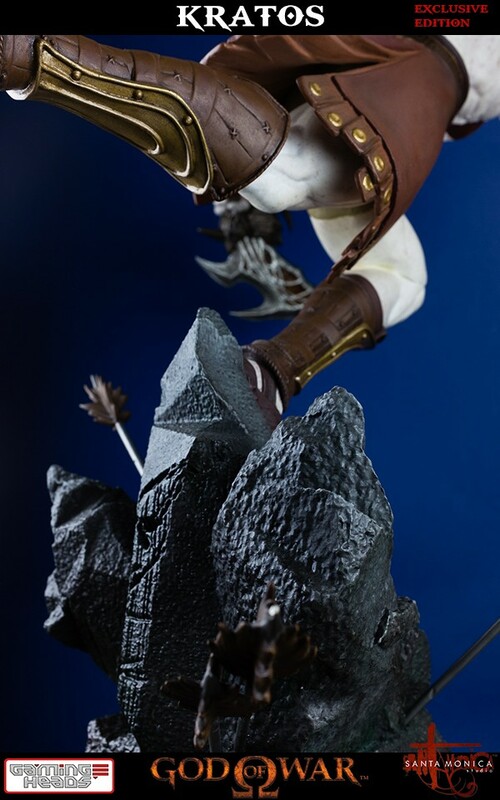 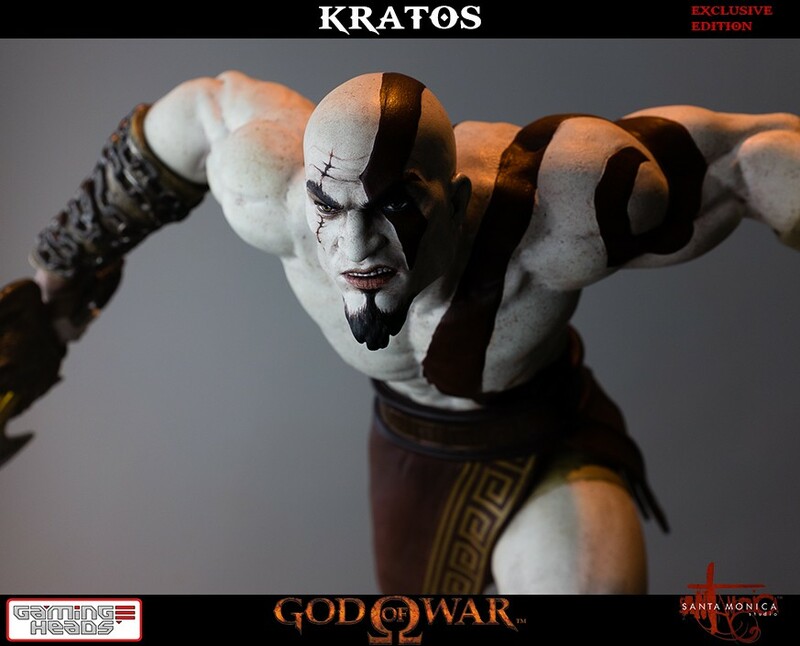 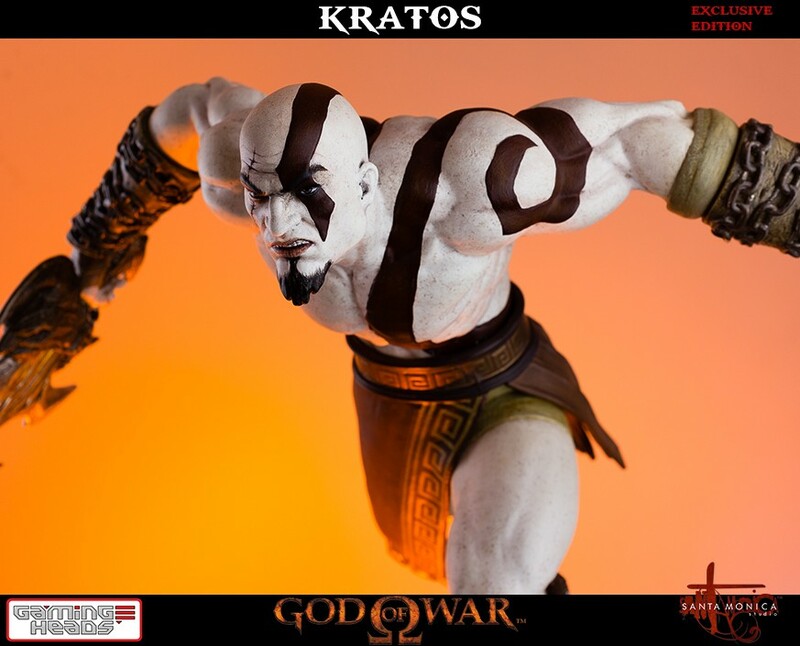 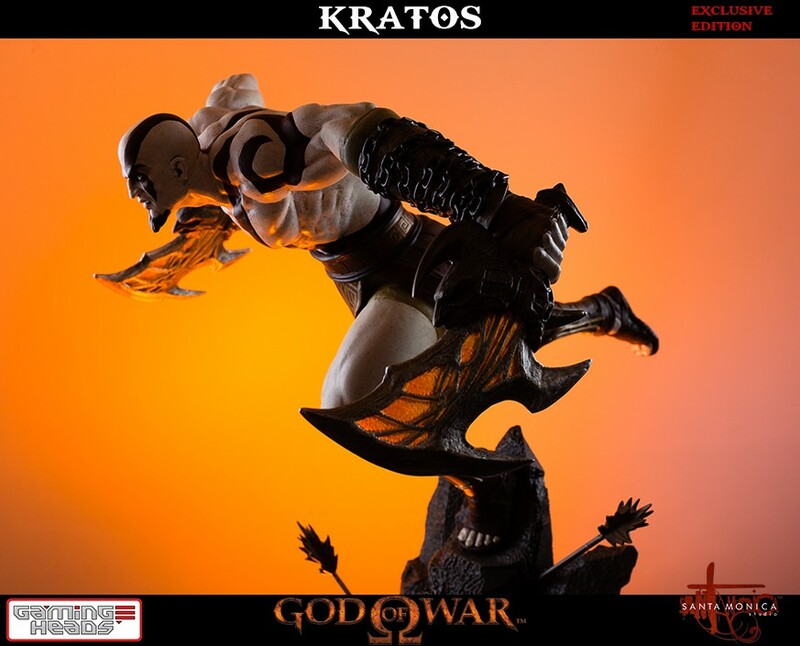 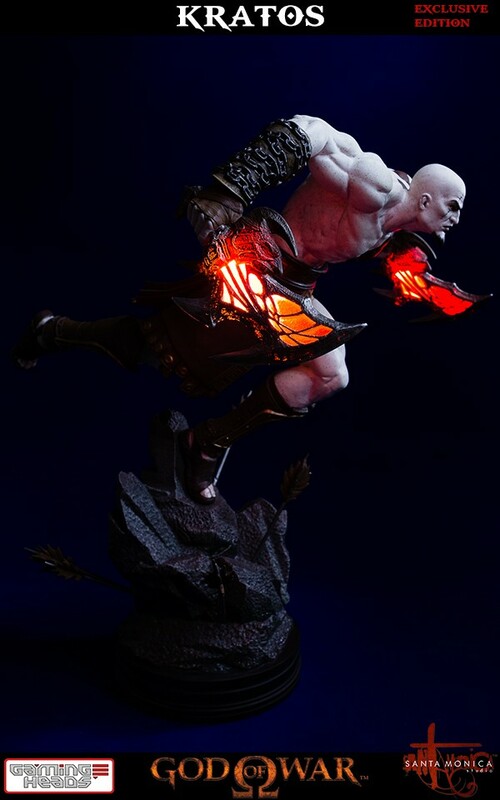 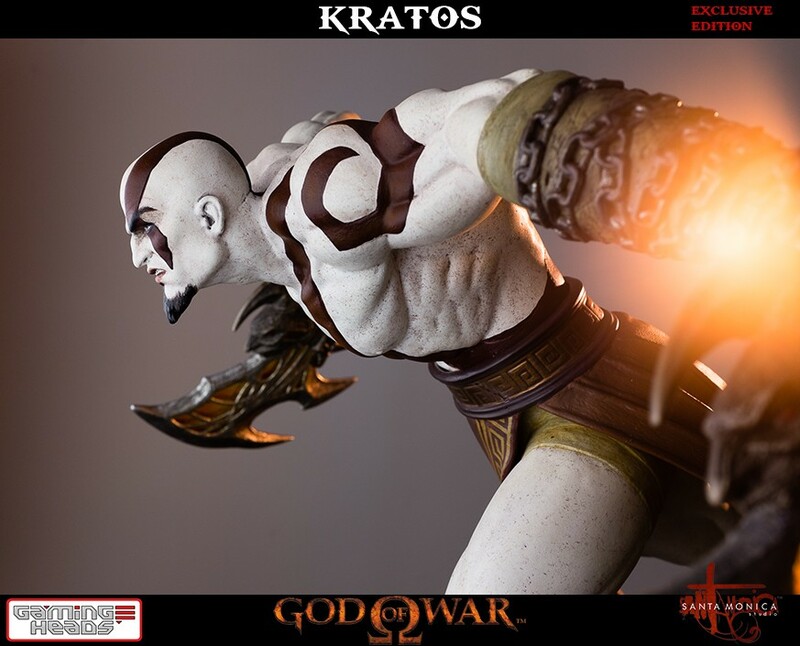 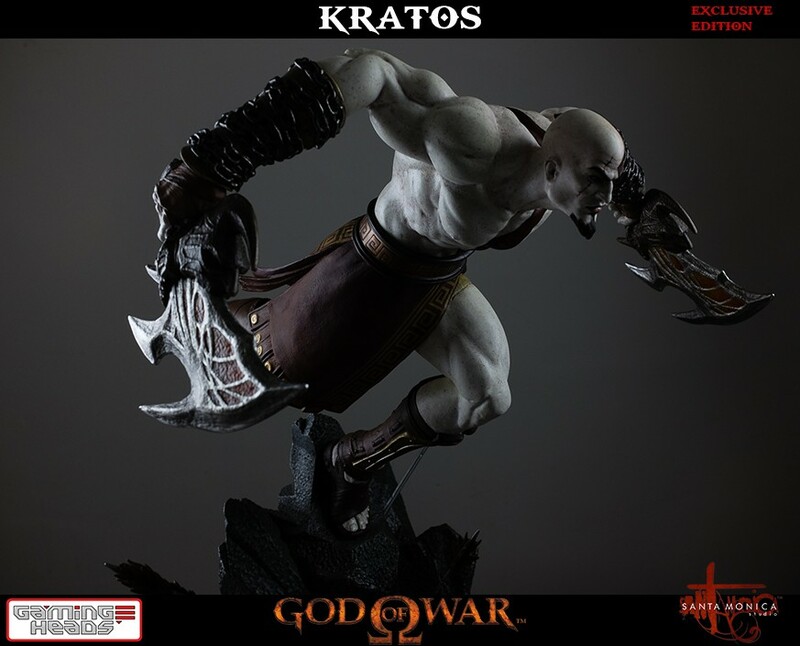 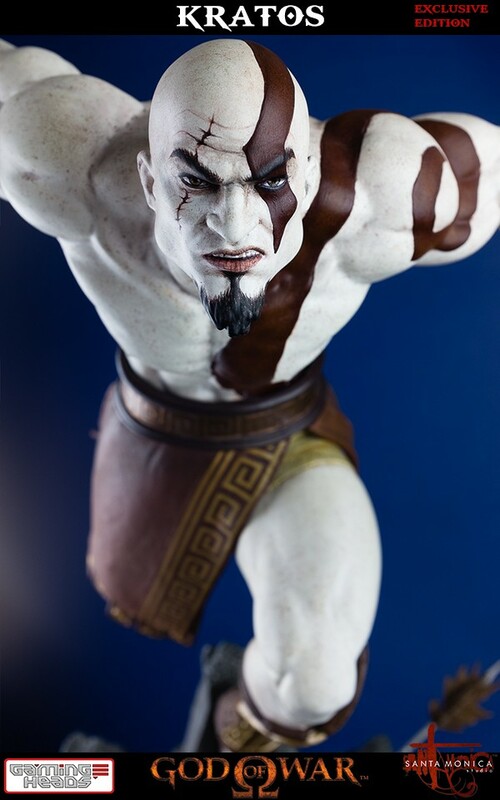 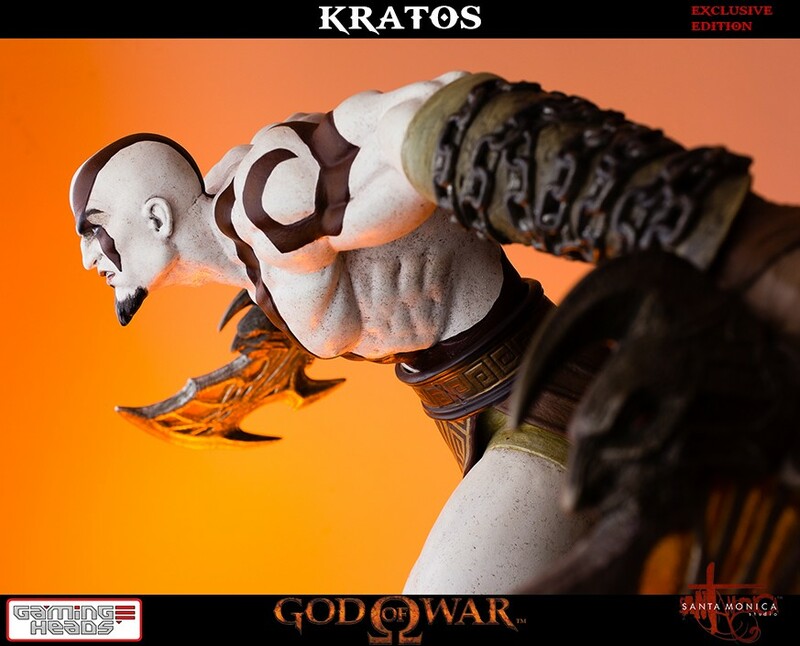 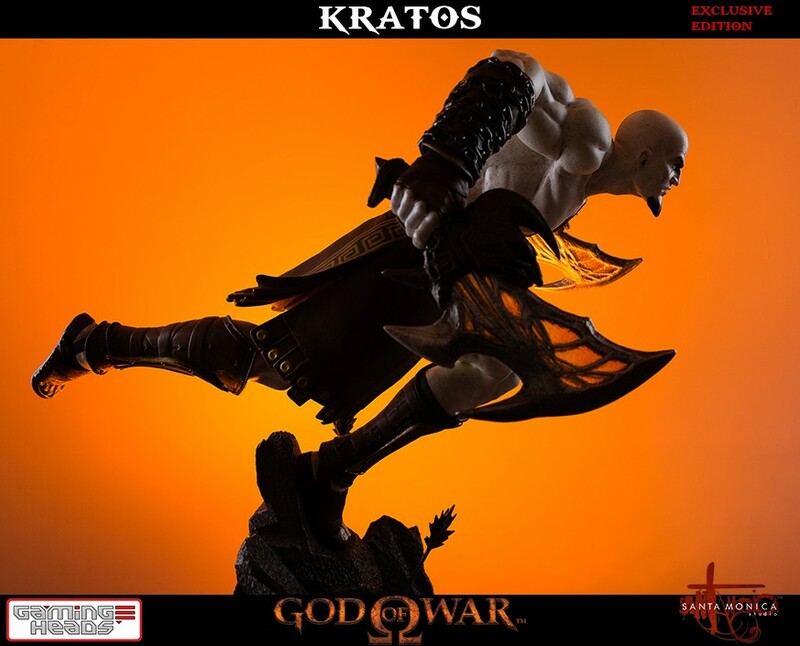 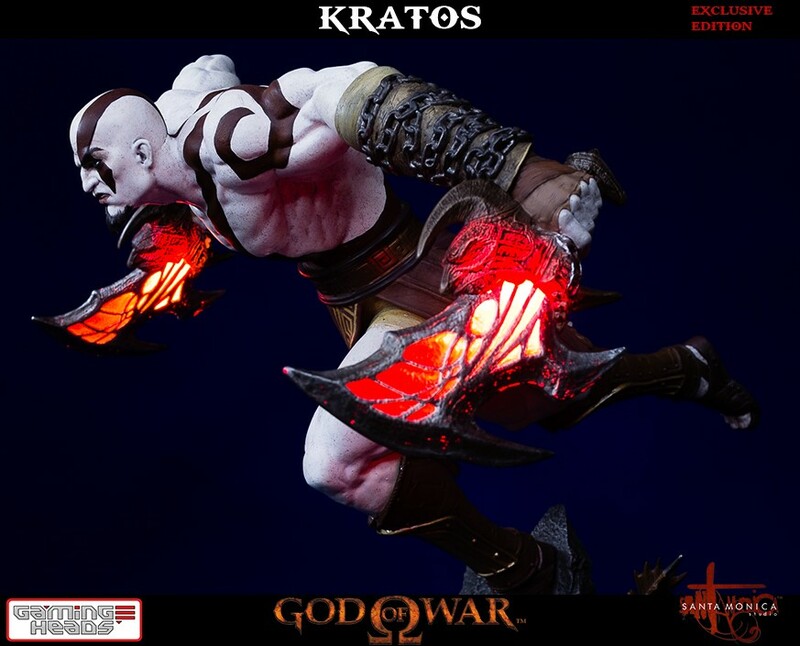 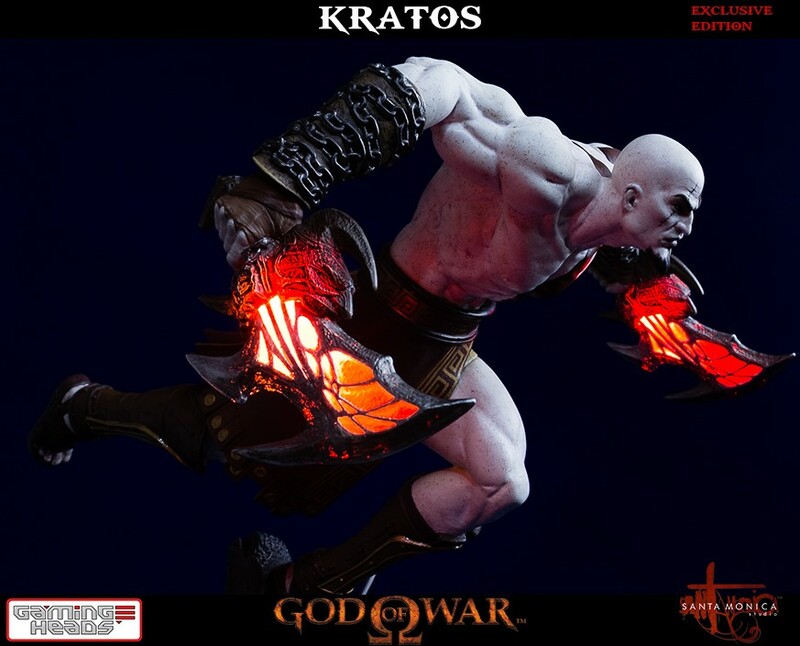 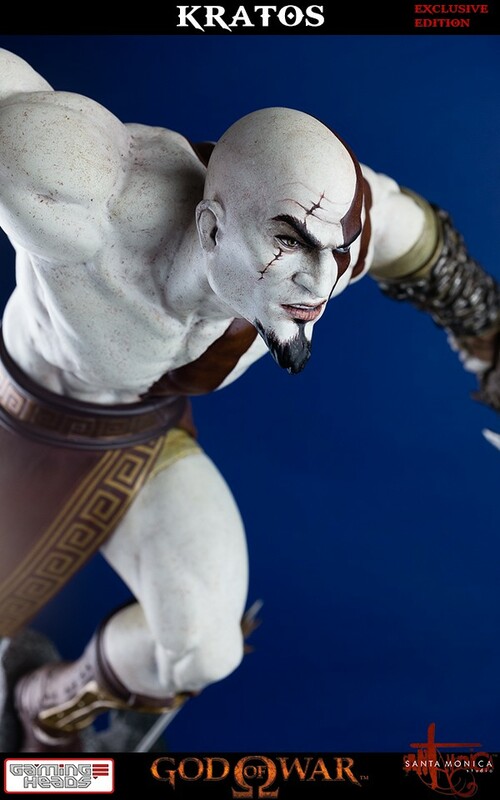 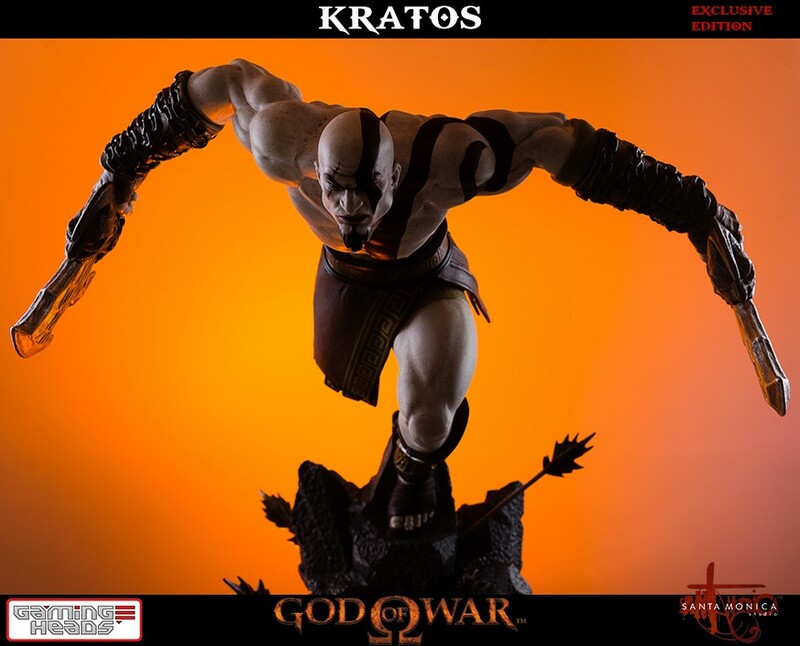 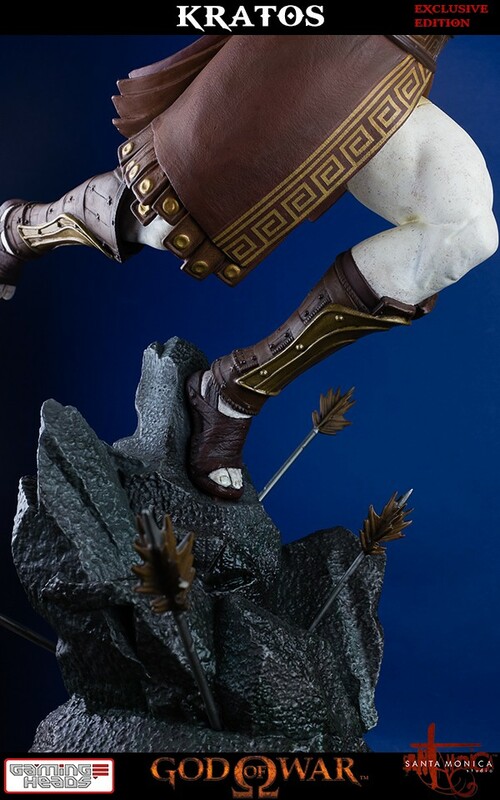 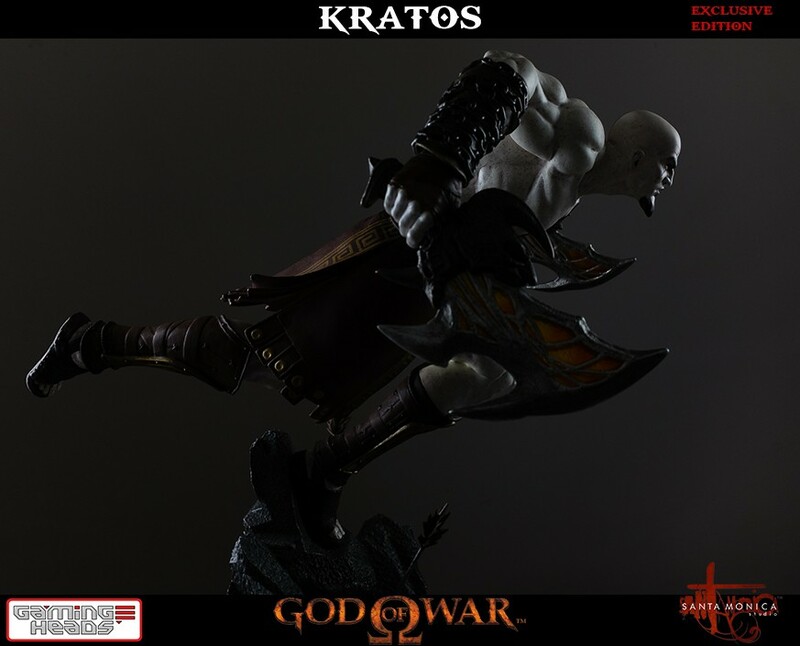 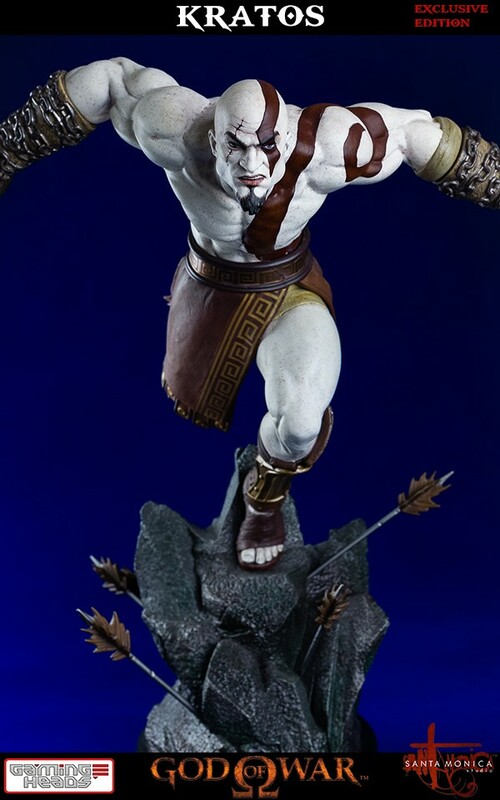 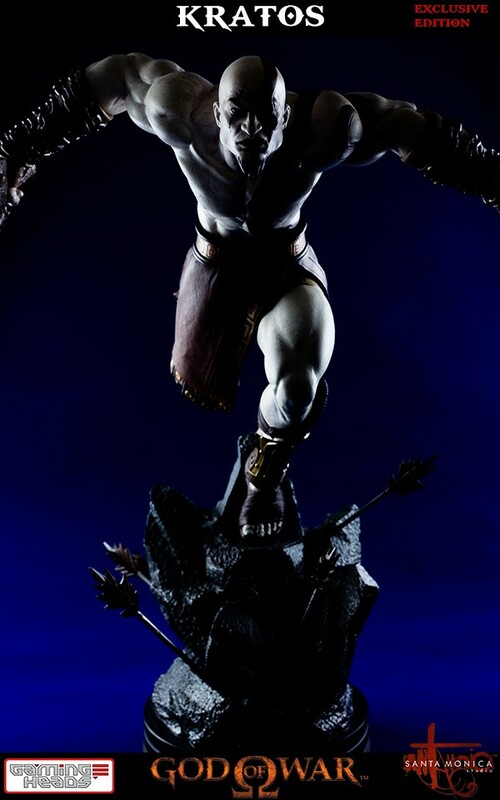 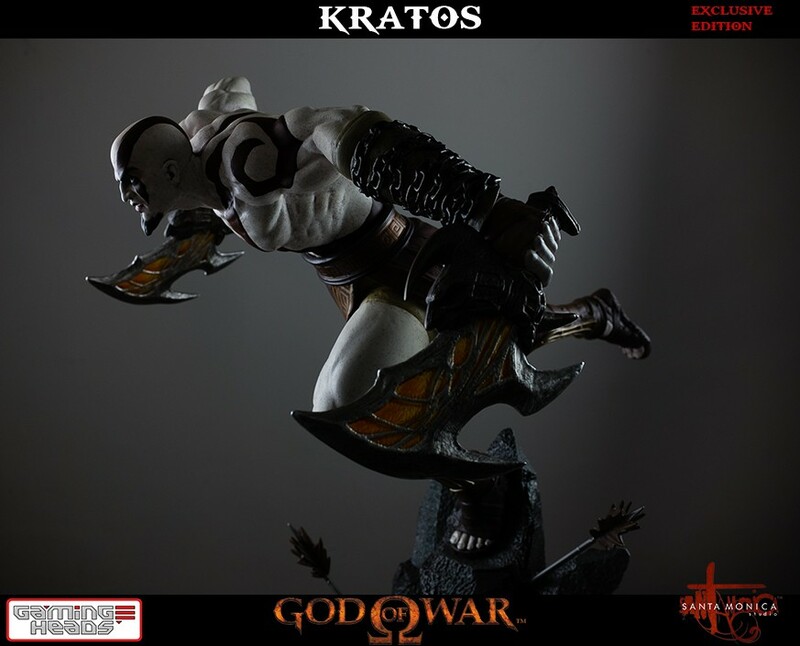 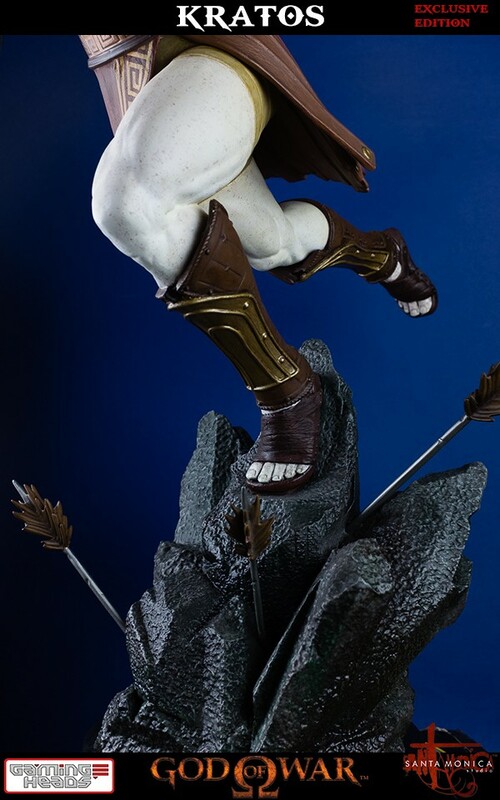 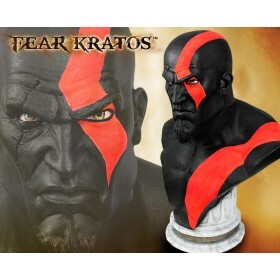 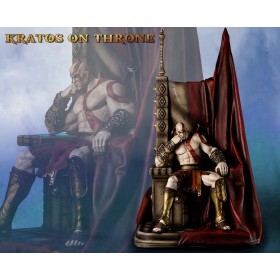 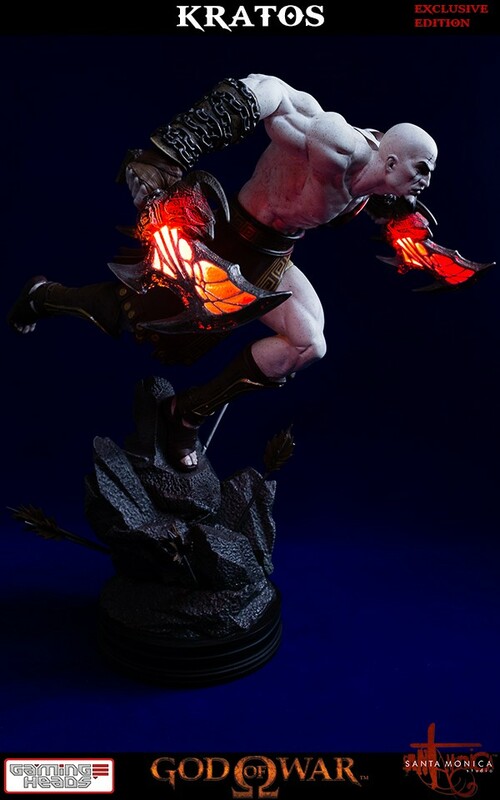 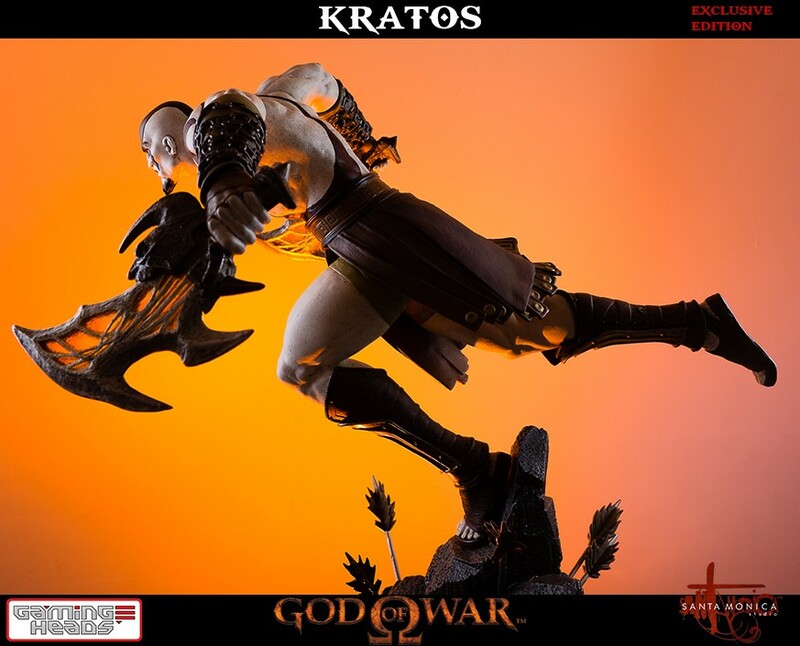 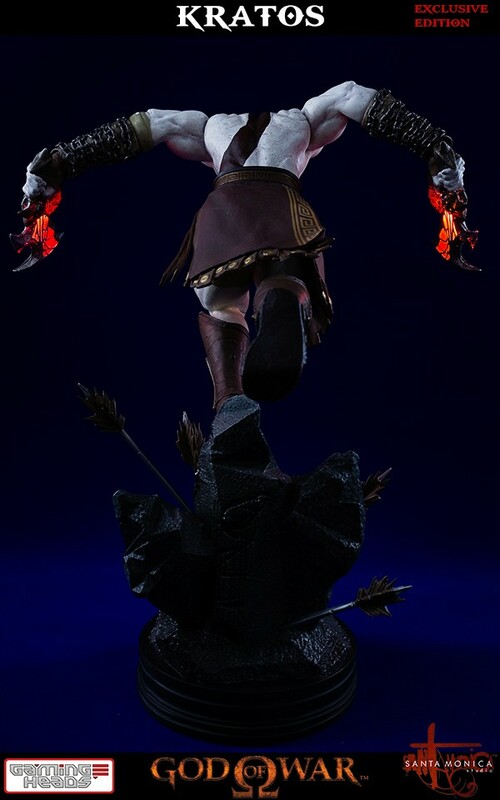 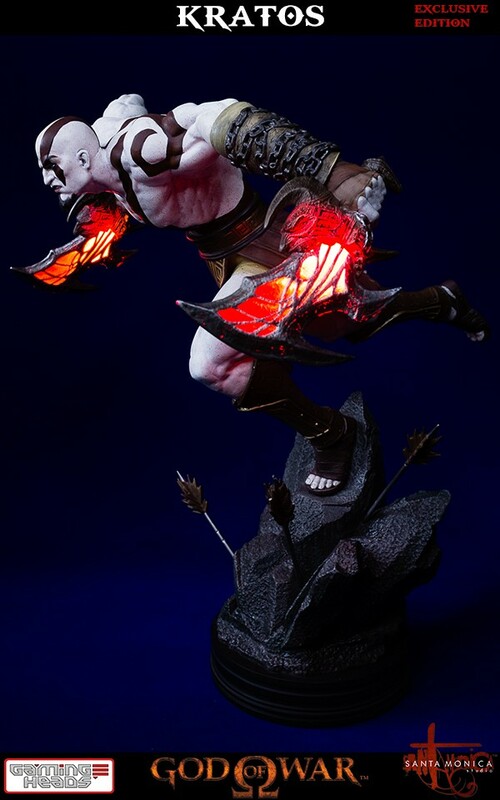 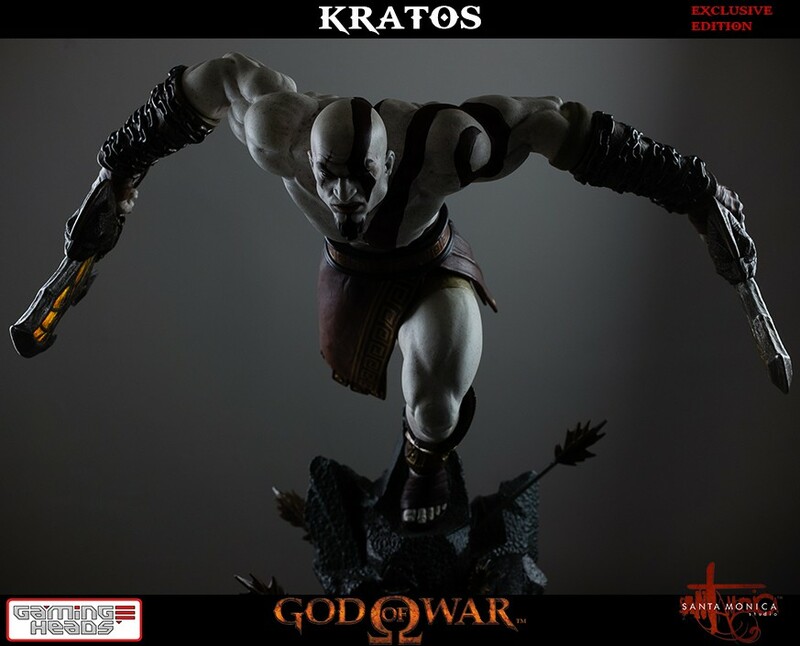 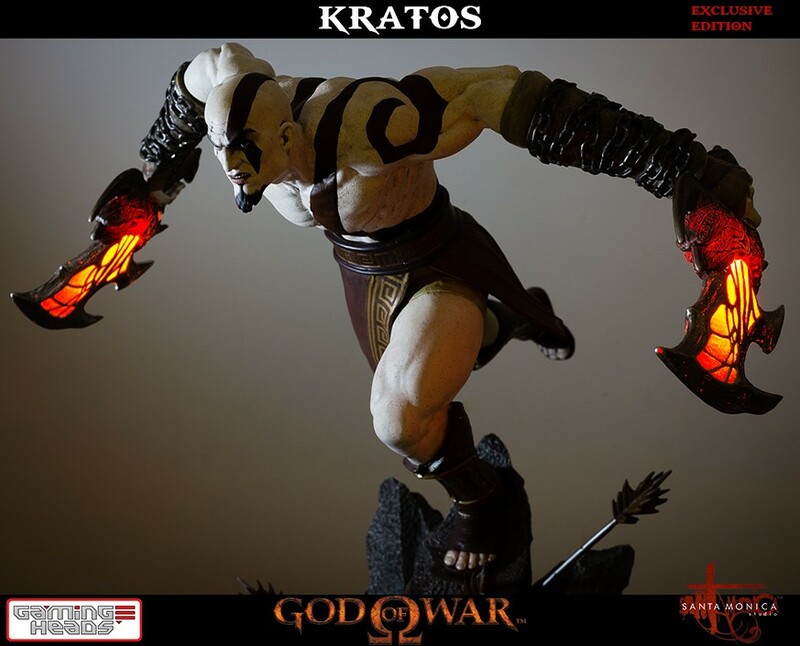 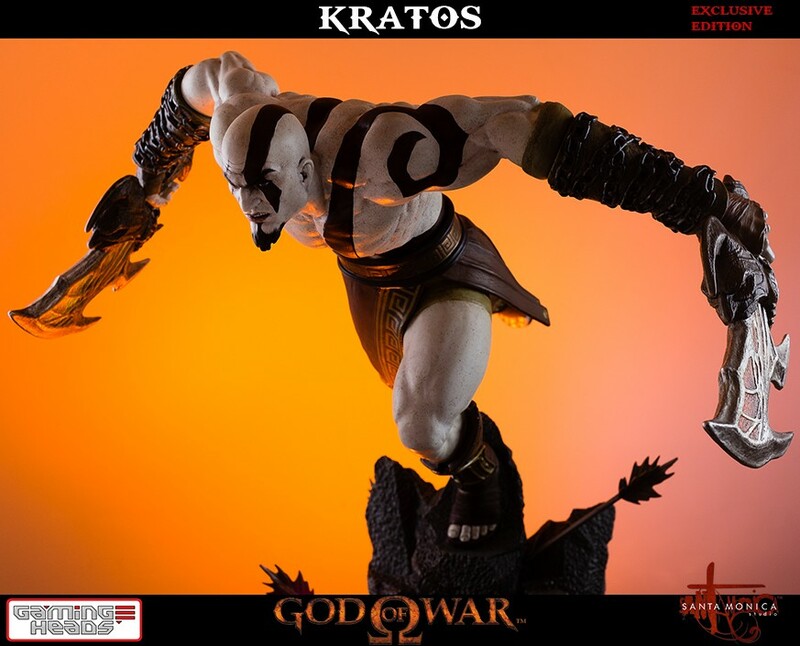 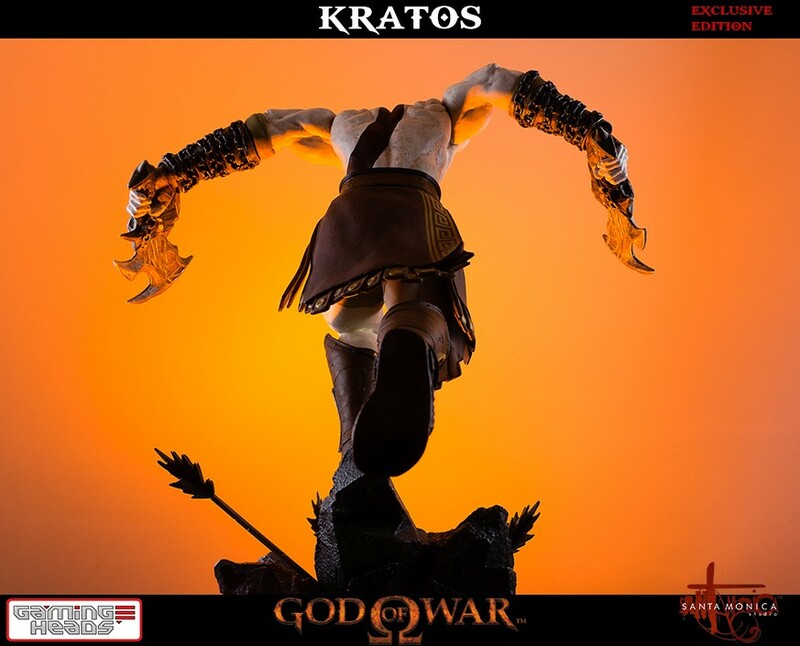 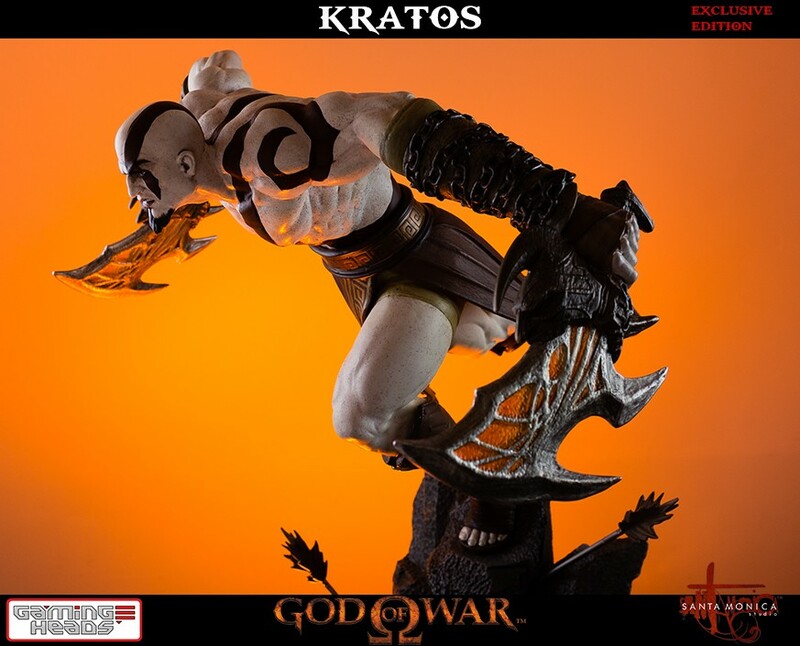 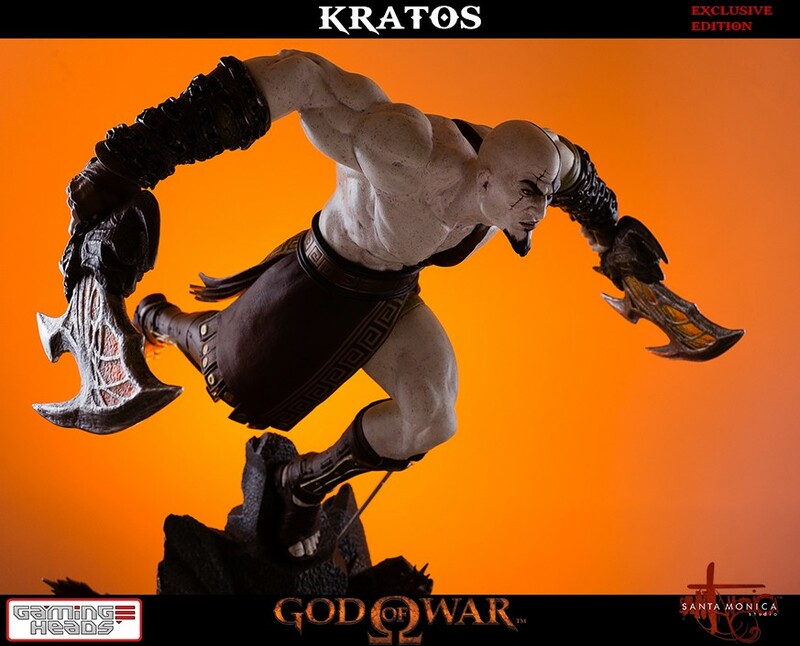 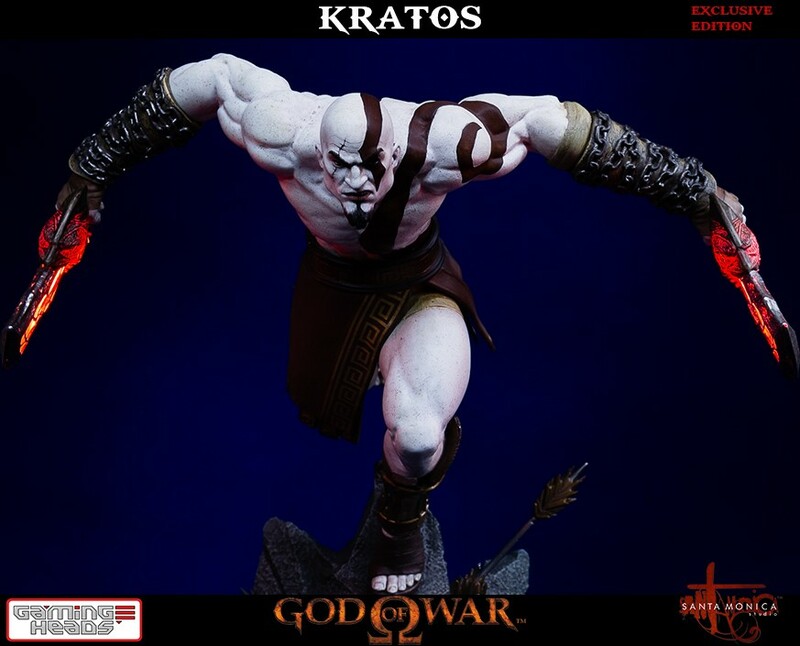 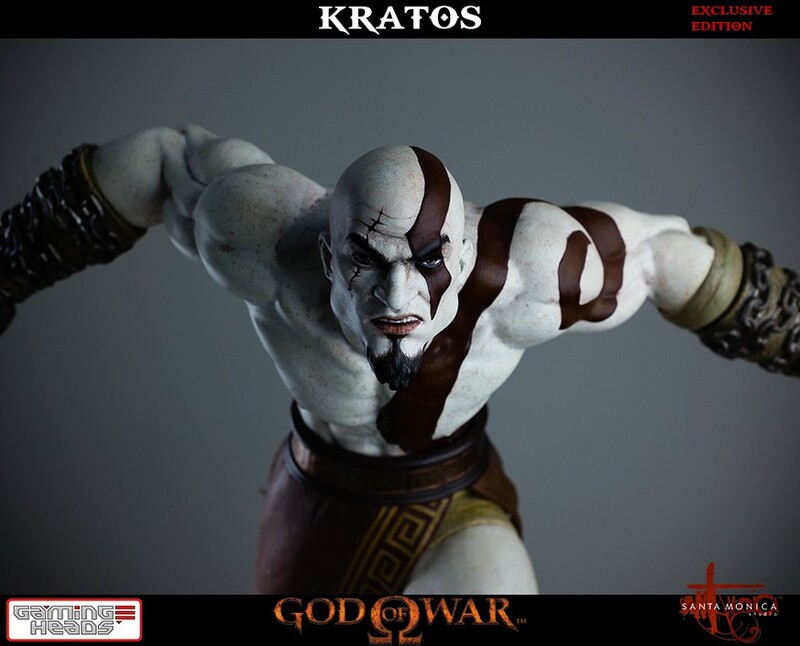 Standing at 19 inches tall when leaping forward on his base, this depiction of Kratos is a truly massive recreation. 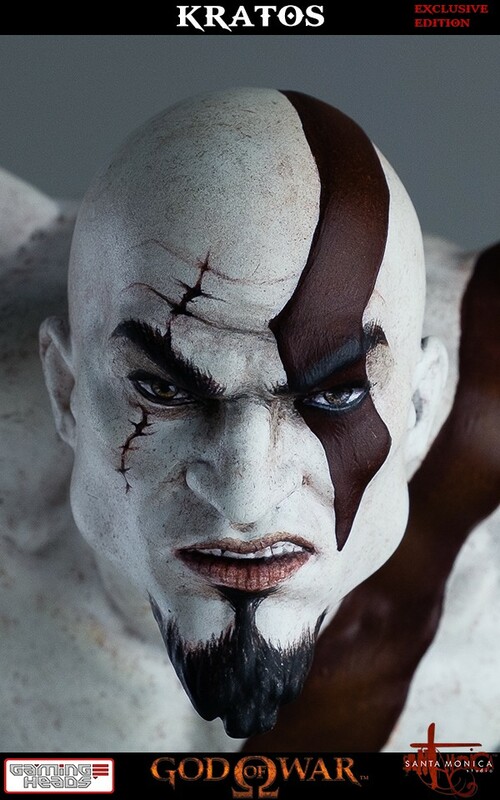 This is the exclusive version of Kratos. 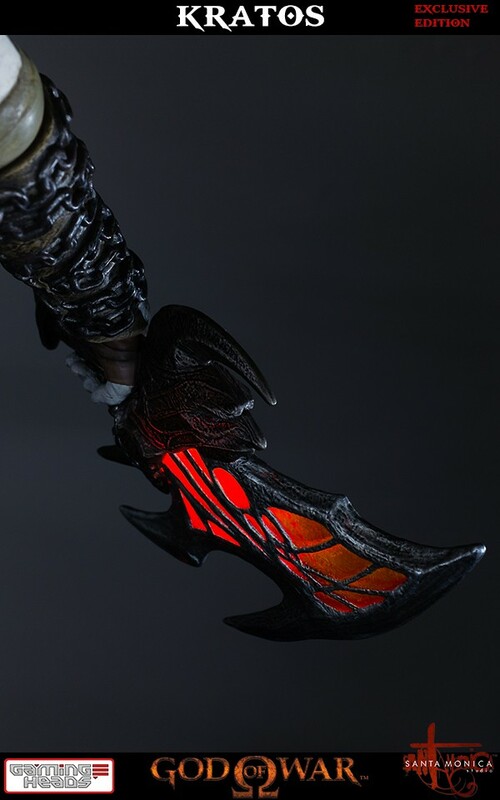 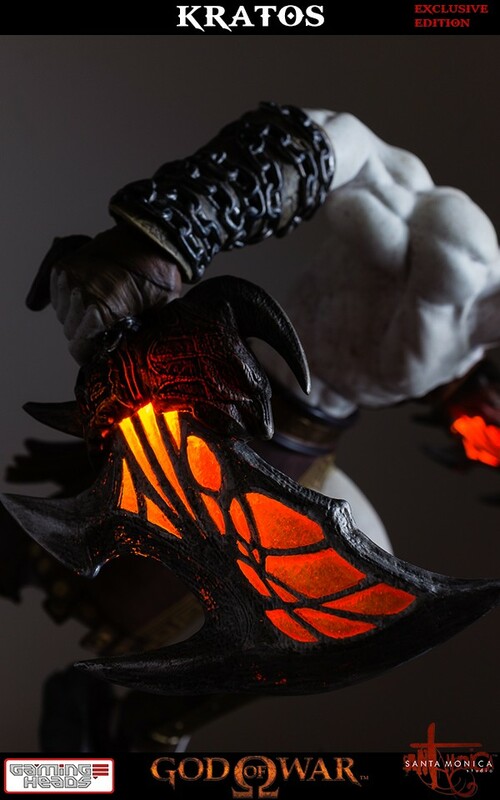 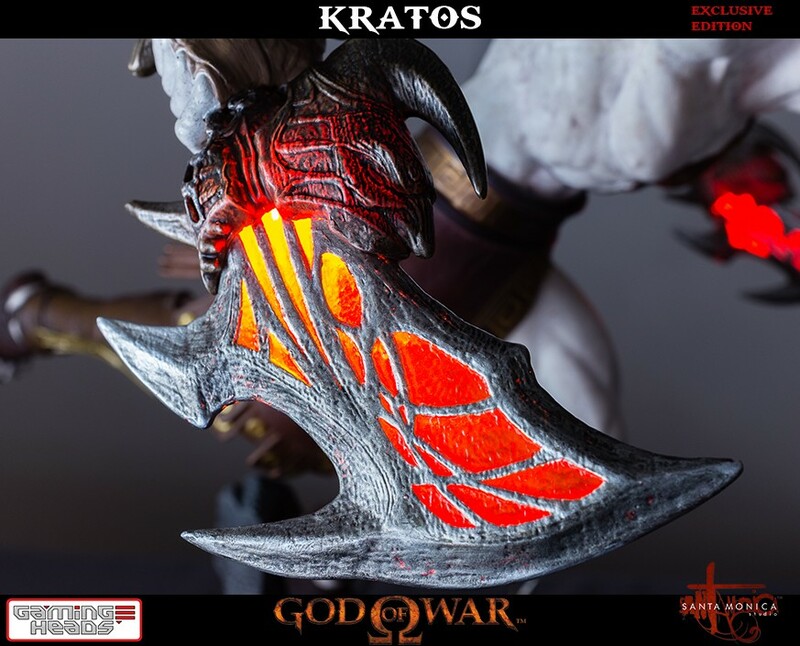 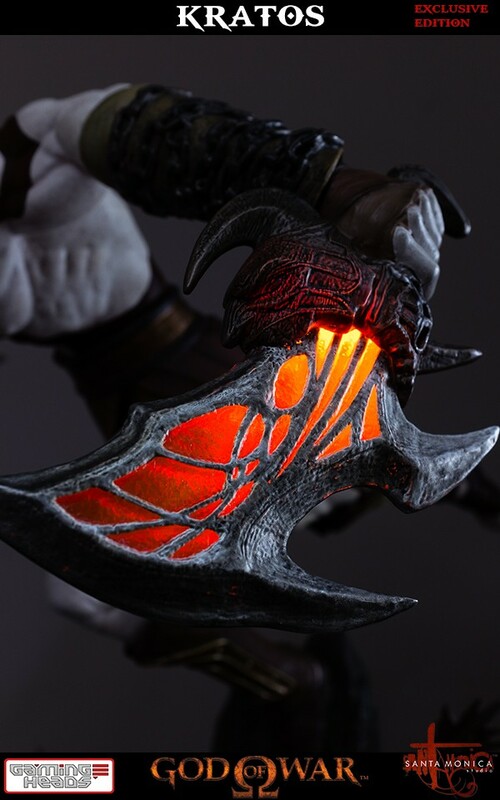 Kratos' Swords of Exile incorporate a light-up feature, which causes the sword to slowly fade from red to yellow. 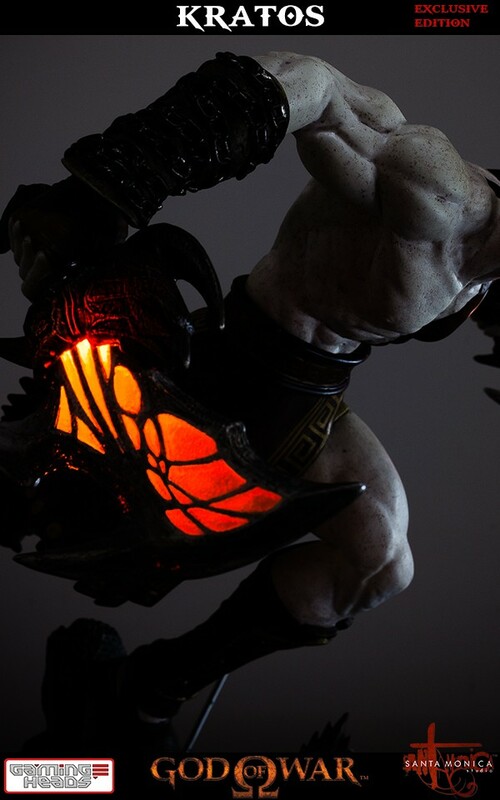 The lights slowly fade away after being switched off. 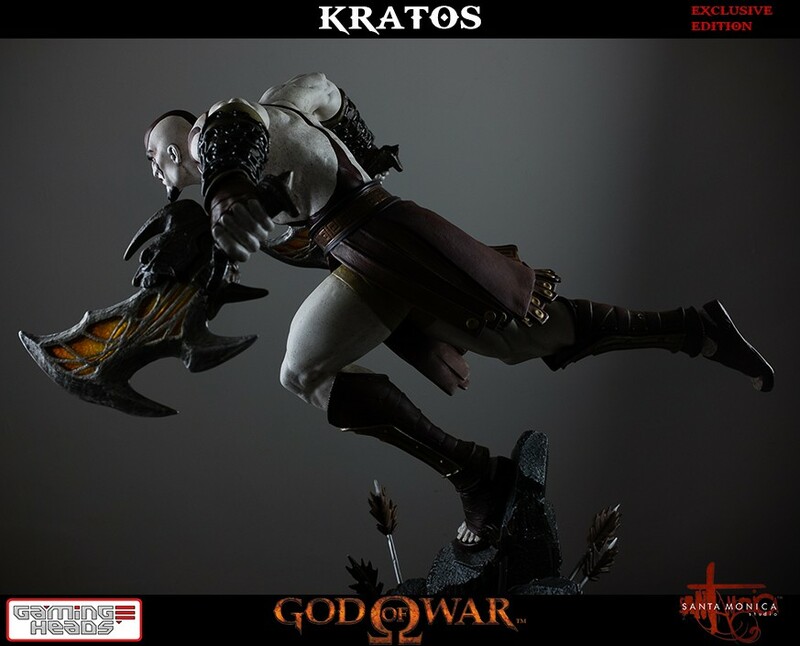 Comes in deluxe, full-colour packaging, a hand numbered base, and an authenticity card to allow you to pre-order the same number of statue for future God of War statues. 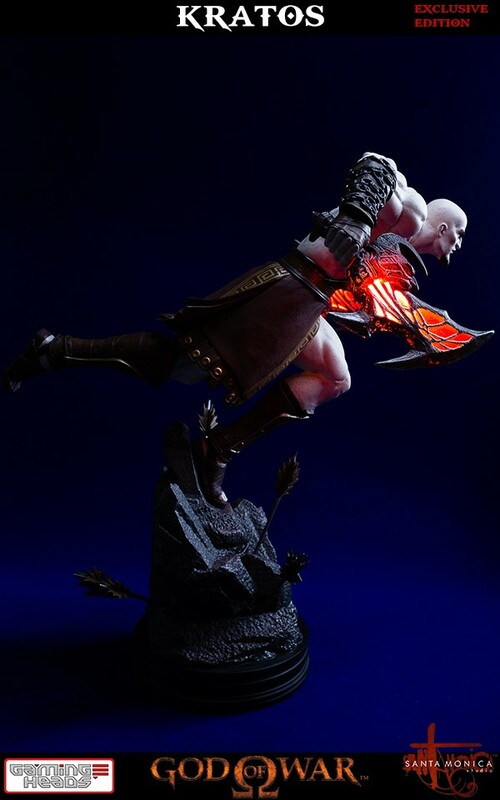 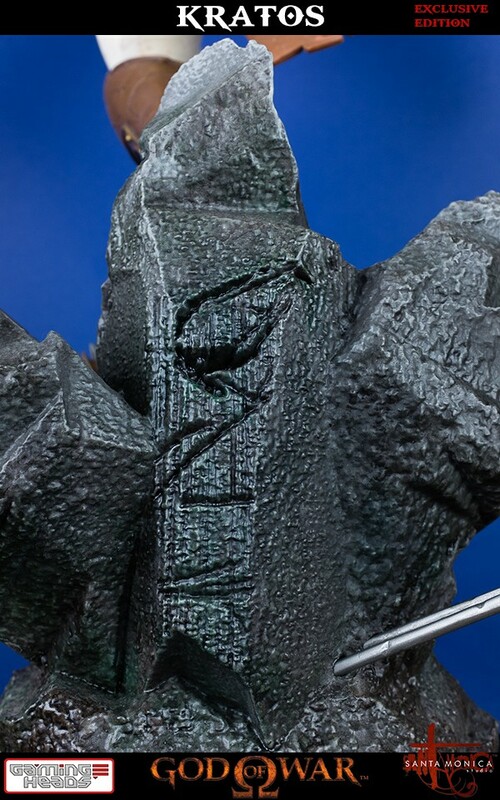 This is the first piece in the God of War statue collection, so the lowest numbers will be available on a first-come-first-served basis. 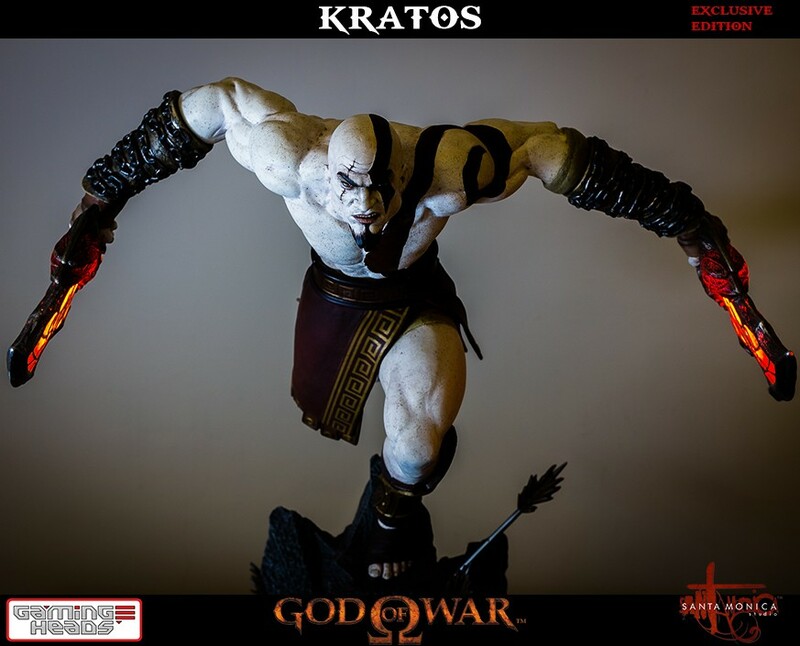 Highly limited to only 500 pieces worldwide.